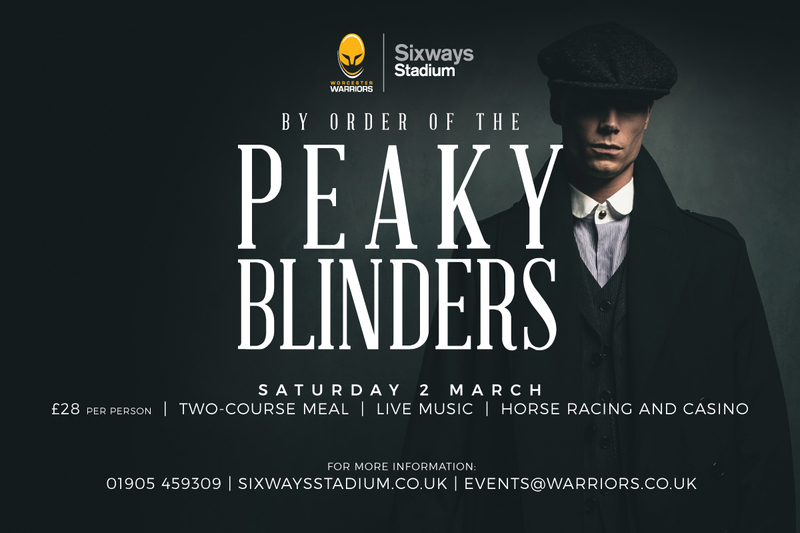 Sixways will be hosting a Peaky Blinders night of gangsta fun and frolics on Saturday 2 March. SPECIAL OFFER: Book 5 places and get a 6th free*! Step back in time and through the secret door of the Garrison Tavern and into the murky underworld of the Peaky Blinders illegal backroom gambling den. Guests will be able to have a flutter on the gee gees and try their luck at the casino before dancing away to live music from the talented Peaky Blonders. Tickets cost £28 per person and include a two-course meal, live music, horse racing and a casino, with doors opening at 7pm. So join us for an evening of 1920s elegance and gangster dress up. Over 18s only.